Today I learned about the "McGangBang". Before your mind slides right into the gutter, its a sandwich combination from McDonald's. It is not sold on the McDonald's menu (although there are rumors that if you go to McDonald's a lot of employees know what it is). I have not eaten one yet but I'm seriously considering it. 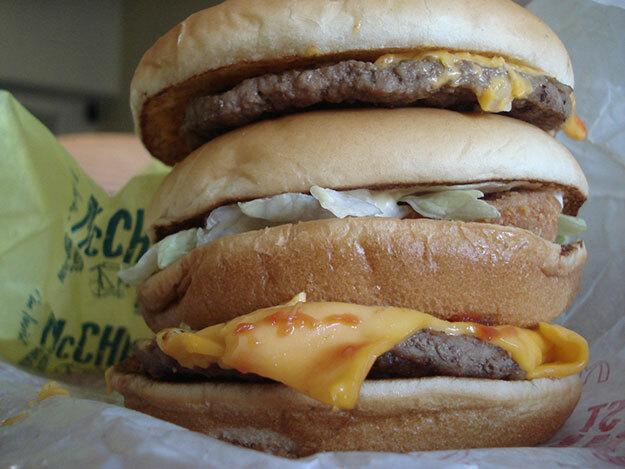 The McGangBang is a McChicken sandwich in the middle of a double cheeseburger. There is also the "Unprotected McGangBang" which substitutes a Hot N' Spicy McChicken for the regular McChicken inside of a double cheeseburger.